SEBASTIAN INLET, Florida/USA (Thursday, January 17, 2019) – A vital day of competition unfolded at the World Surf League (WSL) Qualifying Series (QS) Florida Pro Women’s QS 3,000 and Men’s QS 1,500 with solid, two-to-three foot, occasional plus, swell still on tap. Finals day draws are locked in after the remaining four heats of men’s Round 2, and all of Round 3 were completed before finishing women’s Round 3, 4 and Quarterfinal bouts. One of opening day's more dangerous competitors returned to that form and Sophie McCulloch (AUS) found her way into the Semifinals with an incredible Quarterfinal start -- earning a 6.67 (out of a possible 10) right away over one of Round 3's top competitors Cannelle Bulard (FRA). The Alexandra Headland, Queensland, competitor is looking for a dream start to 2019 after finishing No. 27 on the QS last season and putting herself in striking distance of a qualification scenario. "I was lucky to scrape through my Round 3 heat, I feel like the day off I maybe lost momentum, and to regain that confidence throughout the day was great," McCulloch said. "It's really important to carry that confidence into your turns because the judges are scoring those one-maneuver waves. To bring out some strong turns and get over the nerves is huge. Everyone wants to win the first event of the year and that would be a perfect start toward my goal of qualifying so I'm not leaving anything out there." Caroline Marks (Melbourne Beach, Fla.) continues her reign over Sebastian Inlet, delivering the day's top performance in her Quarterfinal bout over Zoe McDougall (HAW). Marks dropped an impeccable 15.34 (out of a possible 20) heat with her backhand attack. The defending event champion looks poised to reclaim her title but will have a formidable opponent in McCulloch to deal with in the Semifinals. "It was definitely a lot today getting through those three heats, but I love doing that and surfing so much," Marks said. 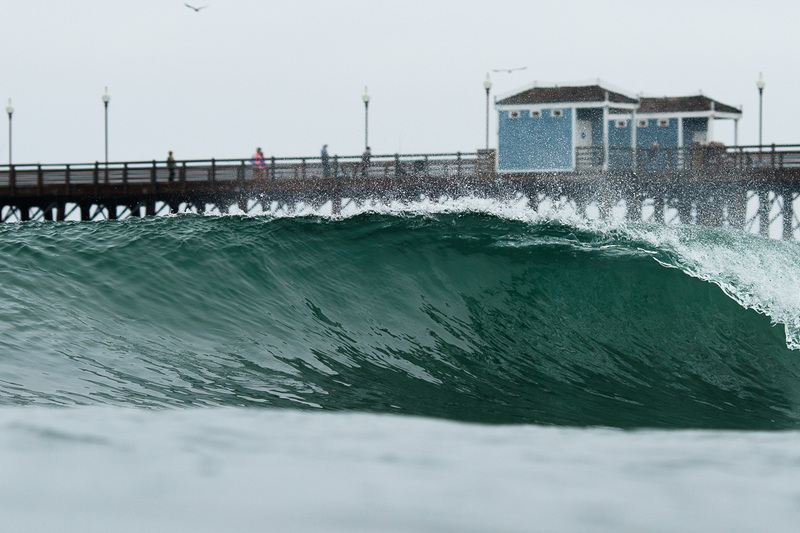 "Each heat I felt like I was getting better and better, and the waves got better all day which was great. Then going into two-man heats, I felt really comfortable after doing that so much last year on the CT and I loved it. Zoe (McDougall) is such an amazing surfer and dropping big scores every heat so I'm stoked to come out on top of that battle. Obviously, I want to win but I'm not putting pressure on myself to do so." Also making their mark and earning Semifinal berths Summer Macedo (HAW) and reigning World Junior Champion Kirra Pinkerton (San Clemente, Calif.) are into finals day with their shot at a vital 3,000 points toward their 2019 season. Following some explosive men's Round 2 affairs, the men’s competition culminated in Round 3 bouts to determine who would move on to two-man battles. Defending event champion Evan Geiselman (New Smyrna Beach, Fla.) and Melbourne Beach, Florida's, Chauncey Robinson were the first to earn spots into the Quarterfinals. QS veteran Michael Dunphy (Virginia Beach, Va.) now calls New Smyrna Beach, Florida, home and his relationship with Sebastian Inlet was apparent today with a 14.33 heat total. Last year was less than ideal for Dunphy, missing out on the Triple Crown of Surfing for the first time since 2012, and is hoping to turn it all around this season. The 28-year-old comes in with a new mindset and also fresh off a strike mission with Championship Tour (CT) competitors Ezekial Lau (HAW) and Kanoa Igarashi (JPN) straight into business. Fellow New Smyrna Beach resident Daniel Glenn grew up just down the highway in Vero Beach, Florida, and spent a lot of his childhood here at the inlet. The now 22-year-old used that knowledge to his advantage and capitalized on a last-minute aerial attack that saved his Florida Pro campaign. But, it’s all fun for Glenn who has big plans this year, including the Volcom Pipe Pro, and a magic start here is all you need. Event organizers will convene tomorrow morning and make a 7:30 a.m. EST call for a possible 8:00 a.m. EST for the completion of men's Round 2 and women's Round 3. The Florida Pro Women's QS 3,000 and Men's QS 1,500 will run in the best conditions from January 14 - 20 at Sebastian Inlet, Florida. SEBASTIAN INLET, Florida/USA (Wednesday, January 16, 2019) – The World Surf League (WSL) Women’s Qualifying Series (QS) Florida Pro fired back into an extensive day of action with both the men and women competing. The women's QS 3,000 finished Round 2 affairs and top-seeded surfers staked their claim into Round 3 with dynamic performances in the three-to-four foot conditions on offer. Following women's Round 2, men began their Florida Pro QS 1,500 event and powered through Rounds 1 and 2, Heats 1-4, to close an exciting day of competition. One of the top event threats Brisa Hennessy (CRI) came out explosive in her debut to start Wednesday’s action and earned an excellent 8.00 (out of a possible 10). The Costa Rican representative was able to accrue a 13.57 (out of a possible 20) heat total by capitalizing on solid sections. But, the 19-year-old feels there’s still room for improvement with a lot of contest left. "It’s always a great feeling to start with an excellent score and I think it helps with your confidence and getting the first heat jitters out of the way -- especially when it’s the first contest of the year," Hennessy said. "I’ve realized how important it is to have an alert and open mind out here, and I just wanted to stay busy and look for the best scoring opportunities. Going forward I hope to better my wave selection, my speed, and just getting more in tune with the lineup." Round 2 Heat 15 featured two of North America’s top Pro Junior talents, 2017 North America Regional Champ Alyssa Spencer (Carlsbad, Calif.) and Samantha Sibley (San Clemente, Calif.), going toe-to-toe alongside Japanese competitor Julie Nishimoto. Spencer looked to be on her way out of the contest sitting in third until the final two minutes when she was gifted a gem and didn’t waste it to move right into first. However, Sibley was then pushed to third and Nishimoto advanced behind Spencer. Also earning debut wins, Camilla Kemp (PRT), Sara Wakita (JPN), Maud Le Car (FRA), Leticia Bilbao Canales (ESP), and Mahina Maeda (JPN) are all through to Round 3. Competition then shifted to opening rounds of the Florida Pro Men’s QS 1,500 and surfers were eager to get their affairs in the books. The top seeds showcased their authority in decisive manner with big performances from the start that many carried into Round 2 bouts. Defending event champion Evan Geiselman (New Smyrna Beach, Fla.) unleashed an excellent 8.17, and 14.00 heat total, to start men’s competition off in Round 1 Heat 1 against his brother Eric. Geiselman wasn’t done yet and pushed his Round 2 performance to the next level with one of the day's highest heat total of a 15.57. The 24-year-old is in search of his third Florida QS title and showed he’s one to beat yet again. The Barbados natives are representing their island nation well this week with both Chelsea Tuach and Chelsea Roett through yesterday, and Josh Burke leading their charge on the men’s side with an impressive Round 1 debut today -- joined by Che Allan into Round 3. Burke posted a solid 14.47 with his aerial attack and aggressive carves. But, this event is simply a stepping stone for Burke. Floridian Robbie McCormick (Flagler Beach, Fla.) stormed his way through a Round 1 win with dynamic surfing on his backhand and forehand. Last year marked the 18-year-old’s last season as a Pro Junior, one he started late yet had an incredible run at the Ron Jon Quiksilver Pro and Pro Junior in Cocoa Beach, and is now a full-time QS campaigner. McCormick knows every bit of success helps and has his eyes set on more. While the top seeds flourished, upsets were scattered throughout the day and the heaviest one came in Round 1 Heat 13. 2018 North America No. 2 Kevin Schulz (San Clemente, Calif.) sat in an advancing position behind Florida’s Noah Schweizer (New Smyrna, Fla.), who won the heat, until the final moments when fellow Californian Sean Woods (Thousand Oaks, Calif.) threw a Hail Mary air-reverse to steal the runner-up spot. Also notching Round 2 wins to end the day, Californians John Mel (Santa Cruz, Calif.) and Jackson Butler (San Diego, Calif.) are into Round 3 alongside the day’s top performer Nolan Rapoza (Long Beach, Calif.) -- who posted an excellent 8.60 and 15.87 heat total, the event’s highest. 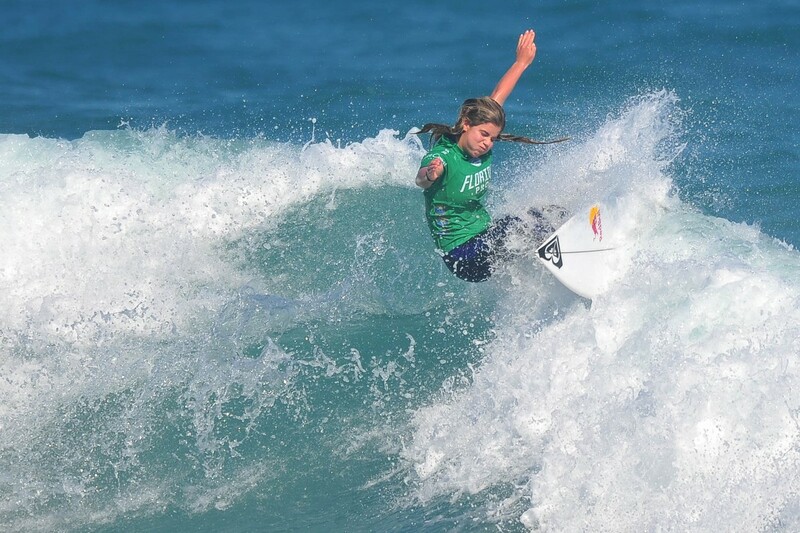 SEBASTIAN INLET, Florida/USA (Tuesday, January 15, 2019) – The World Surf League (WSL) Women’s Qualifying Series (QS) got action underway at the Florida Pro QS 3,000 after Monday’s lay day and steamed through Round 1, as well as Round 2 Heats 1 – 8, at Sebastian Inlet. Building swell filled into the inlet throughout the day, providing two-to-four foot windswell and some of the top QS competitors made their debuts in stunning fashion. Men’s competition was called off for the day as the women took over the lineup and delivered inspiring performances. Round 1’s top performance belonged to Biarritz, France, native Neis Lartigue with a brilliant 15.26 (out of a possible 20) heat total. Lartigue locked in one of the highest single-wave score of a 7.93 (out of a possible 10) en route to her debut win and had fellow competitors in a combination situation -- meaning they needed two new scores to total Lartigue’s. Now that the nerves are out of the way, the Frenchwoman will be up first when Round 2 resumes. But, it was her French compatriot Cannelle Bulard of Reunion Island that topped Lartigue with an excellent 8.33 after freefalling from attacking the wave’s lip. Bulard went on to earn the day’s highest heat total of a 15.66 in her outstanding debut. Though, the 25-year-old knows it’s just the beginning and there’s plenty of work to be done. Australian newcomer Sophie McCulloch started the day’s competition in-form with a solid 12.67 heat total in Round 1 Heat 1 and carried that fire into Round 2 for a second victory. The Alexandra Headland, Queensland, native drew from her Florida Pro experience last year and turned into success early on to start building momentum. McCulloch’s terrific Pro Junior career, earning multiple wins around the world, is behind her and now the 19-year-old only has one goal in mind this season. 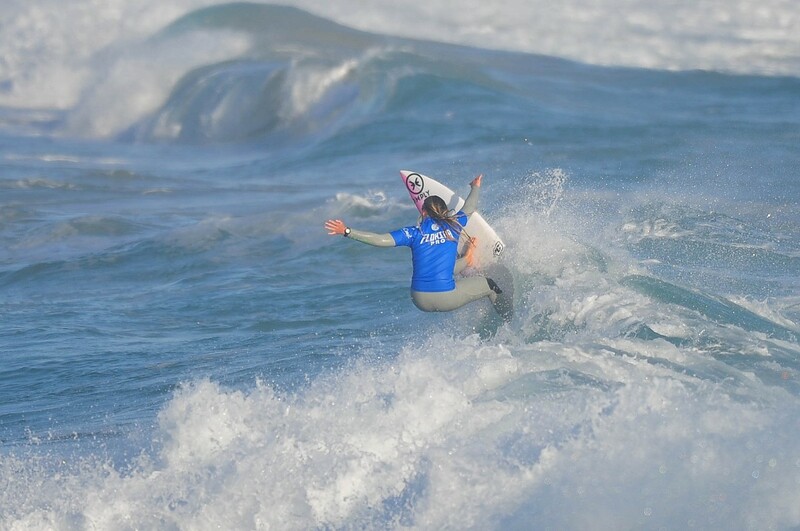 Early shockwaves were sent through the event as local wildcard Zoe Benedetto (Stuart, Fla.) helped eliminate former Championship Tour (CT) competitor Pauline Ado (FRA) in Round 2 Heat 5. The 13-year-old smashed a closeout section and rode out clean to earn a near-excellent 7.67, catapulting her from fourth to first place. Benedetto had her expectations set coming into this event, but now boasts a win over one of the sport’s elite. The day concluded with defending event champion Caroline Marks (Melbourne Beach, Fla.) returning to her native home state victorious in Round 2 Heat 8. The 16-year-old looked sharp in her debut and came out of the water wanting more despite garnering a 14.90 heat total. Marks is eager to defend her title among the talented field on hand and will look to improve moving forward. Also advancing, Coral Schuster (Cocoa Beach, Fla.) won her Round 1 Heat 11 bout and Rachel Presti's (Melbourne Beach, Fla.) buzzer-beater earned her a spot into Round 3 to represent for their hometown support groups. Event organizers will convene tomorrow morning and make a 7:30 a.m. EST call for a possible 8:00 a.m. EST start to finish Round 2 of the women before moving into men’s Round 1 action. We hope you had a fun Thanksgiving holiday with family and friends. Wherever you are in the country, here are some surf shop specials, discount offers, and surf-related coupon codes for Cyber Monday. We will add additional ones as they cross our desk. Happy shopping! Prana - Shop prAna's Thanksgiving Sale for 30% Off Select Styles + Free Shipping! Offer Valid 11/21-11/28. Reef - Free Pair of Socks when you purchase $65+ at Reef! No code required. Ends 12/11/17. Shop lifestyle apparel! Reef - Cyber Week Deal! Free 2 Day Shipping at Reef! Code THANKU. Ends 11/27/17. Shop surf lifestyle apparel, footwear, and more! Swell - Get 30% Off Sitewide at Swell! Offer ends 12/28/17. Shop Now! Volcom - Women's Volcom Fall markdowns just further reduced to 40% Off + Free Shipping & Returns! Shop now! Any offers listed above are provided by way of affiliations, colleagues, or paid insertions. Translation: If you buy anything from the brands listed above, JettyGirl will get a small percentage. Thank you for your continued support of independent surf publishing. Please note that while we do our best to make sure these are current, we have no control over or offer any guarantees as to the validity of the deals or discounts offered by these vendors. 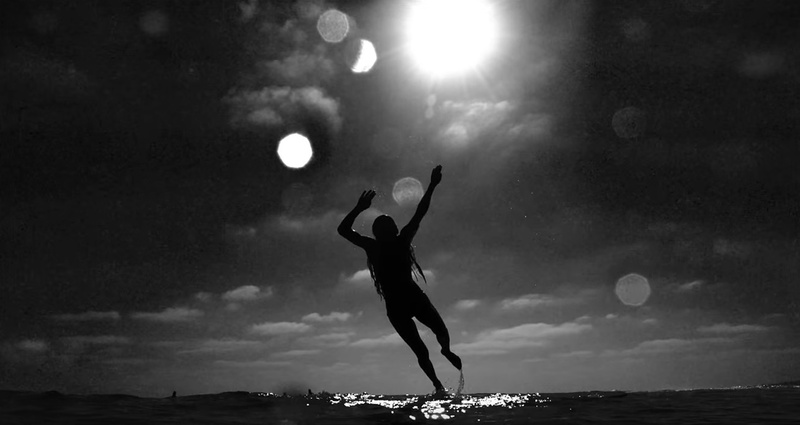 Thankful from Kelly Slater Wave Co on Vimeo. With each new clip that Kelly Slater Wave Co releases, the legend grows. In an edit that dropped on Thanksgiving, Malia Manuel, Coco Ho, Sage Erickson, and Lakey Peterson score barrel after barrel in glassy, pristine conditions. If smiles are an accurate indicator of being thankful, this clip contains more gratitude than any other we've seen. Love this video!!! The Golden State Series: Malibu from L/F productions on Vimeo. Brazilian-born surfer, Luiza Campos, is one of our favorite photographers and while checking out some of her work online, we stumbled upon a surf session of hers in Malibu, California. 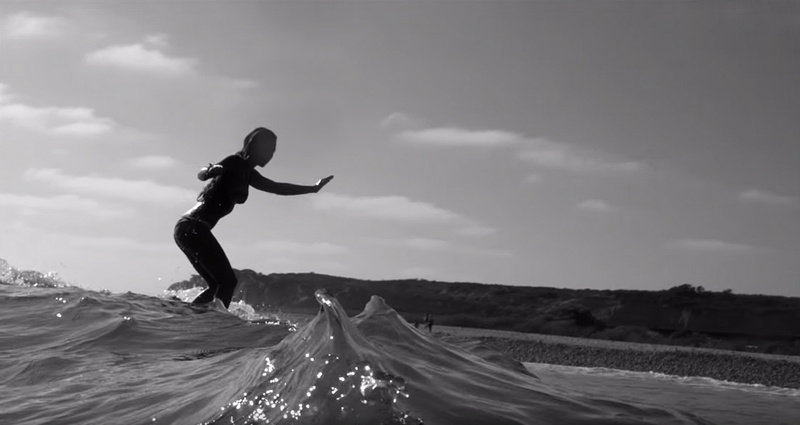 This short film is part of Luiza and her husband, Stephan Figueiredo's Golden State Series and touches on what most of us know we'll be facing when we surf the iconic point break----fun, peeling waves but out-of-this-world crowds. Continuing our 'The Golden State Series', we capture Luiza Campos during a sunny California afternoon riding the wave that gave birth to surfing on the west coast - Malibu. This wave has it's bittersweet moments. Flawless in every way, yet unbearably crowded. You can spend hours out there before you catch a one, and most likely you will be sharing it with five other people you have never seen before. But, there is always that one ride that makes it worth the effort. As the world continues to get smaller and more people continue to flood to the same places, it's hard not to let your mind wander to somewhere far away, where maybe there is another undiscovered Malibu with no one around. Within the chaos and with much patience, Luiza finds her space amongst a sea full of strangers. Music M83 - "Waves, Waves, Waves"
GIL FERREIRA - especialista em aéreos! from Moana Filmes on Vimeo. While there has been much written about the "Brazilian Storm" in men's surfing, women's surfing in South America has flown a bit under the radar. We've often covered Silvana Lima and Sofia Mulanovich on JettyGirl over the years, but there are many other amazing surfers from the continent who haven't been written about in North America's surf publications. We're setting out to change that. We won't be able to cover everyone, but slowly but surely we will do our best to make known some surfers you may not have seen before. Case in point is Gilvanilta Ferreira, a surfer we hadn't heard of before we saw some clips on her Instagram a few months back. With sick style and a solid bag of tricks, this will surely not be the last you hear about Gil's surfing. We cant wait to see how much further she takes her airs into the future. "I used to sell coconuts at the beach with my family. Since then I always watched the boys surfing, but I didn't have a board. Instead, I used the cooler lids of the coconuts for surfing, but my mom was mad at me because I used to break all of them. Since those days, I just fell in love with surfing." Apaixonada pelo surfe desde que usava a tampa da caixa de isopor em que sua família vendia coco para surfar, Gilvanilta Ferreira é uma das poucas mulheres que pode se orgulhar em carregar o status de aerialista. Potiguar "rata de praia", ela se sente à vontade para praticar as decolagens no quintal de casa, Ponta Negra (Natal, RN). I've had the honor and privilege of photographing Courtney Conlogue at various times over the past eight years or so and the single greatest thing I've personally learned from her is the importance of discipline. From watching her approach to amateur contests as a young surfer to school to training to nutrition to the injuries and other obstacles she's faced and overcome on the World Tour--she has always been on top of things in a way that screams champion, not just in sport but in life in general. "The discipline aspect is so natural for me now because it's been bred into every aspect of my life--from doing chores, to going to school, to doing my homework, to having a routine in the morning before I went to school ...trying to work on my pop-ups in surfing when I was a little grom to get my pop-ups faster and other little things like that just to create a habit." In this episode of Billabong Women's "Salt Water Sirens" series, Courtney goes on to speak about her childhood, the importance of her family, and her general approach to life. "I love to laugh and I love to explore. I love to just be. I'm not someone who tries to overly plan something. I do plan for the future, but I don't stress on it. I try to follow my instincts with whatever I do and back myself all the way." The video touches on those excruciating moments at Honolua Bay last season when the World Title slipped away, but far from being permanently devastated by it, Courtney took a few days to deal with the situation, put it behind her, and got back to work for the year ahead. This short film is amazing and for those who care to listen to Courtney's words, there are lessons here that could apply to any of us--parents, kids, athletes, and coaches. This being a surfing site, I'd be remiss if I didn't mention her surfing and like always, Courtney delivers with true power and creativity. Congratulations to Courtney, her family, Billabong, Collective Digital Cinema, and everyone else who has a hand in the "Salt Water Sirens" series. Really solid effort by everyone involved. Five out of five stars!! Every athlete will face that moment before the action begins. It’s filled with quiet determination, sharp focus, the sound of blood pounding in her ears. It’s the culmination of years of training, resilience, defeat and success, the moment that defines a champion. For the second installment of Billabong’s Salt Water Sirens series we take an intimate look into the mindset of Courtney Conlogue, who suffered a brutal surfing injury that forced her to the sidelines as she watched her world title hopes slip out of reach. After a year of mental and physical healing, Courtney fought her way back to her strongest year ever, propelled by three World Tour wins which landed her at the #2 spot in the world. Like a phoenix rising from the ashes, can her unparalleled dedication to her sport take her from the peripherals of the world’s eye to the focus: the Women’s World Title? From the experiences that shaped her to the drive that energizes her through the dynamic landscape of competitive surfing, Salt Water Sirens is a compelling look into the journey that has transformed Courtney from an athlete to an icon. Imagine closing your eyes and dropping in... Haben Girma is an incredibly inspiring deaf and blind lawyer. 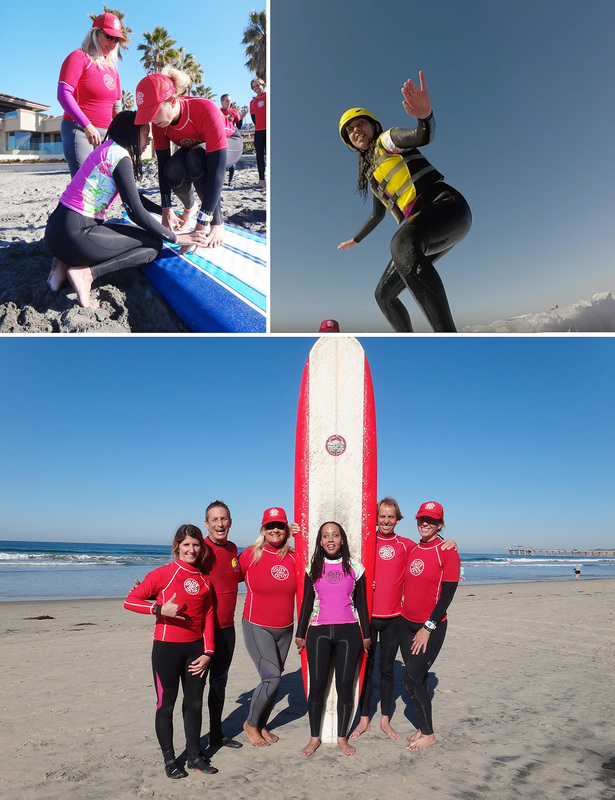 The Harvard Law School graduate came to San Diego over New Year's to learn to surf. After she tandem surfed a few years ago riding on her belly, her goal was to surf on her own standing upright. We are stoked that she came to Surf Diva Surf School. Big shout out to the volunteers who helped make the lesson an amazing and safe experience for her. About Haben Girma - habengirma.com Haben is deaf and blind. Against all odds she graduated from Harvard Law School and was the keynote speaker at at the White House Celebration of the 25th Anniversary of the Americans with Disabilities Act last year. She has​ ​recently held a​ ​TEDx Talk and​ ​is actively practicing at Berkeley-based nonprofit, Disability Rights Advocates​. 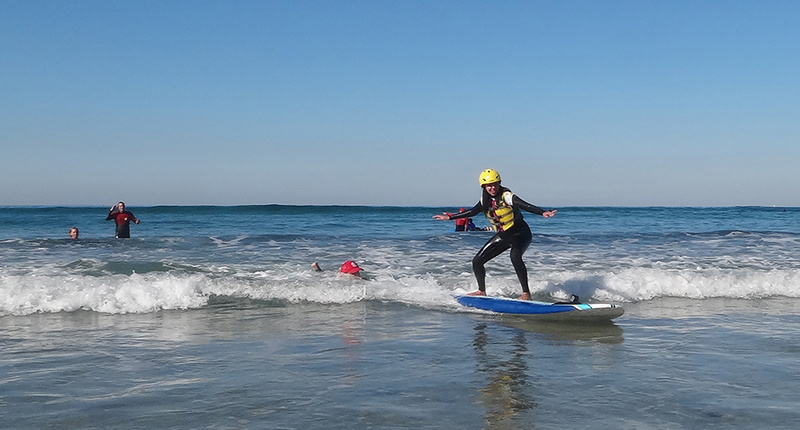 About Surf Diva Surf School - surfdiva.com Quoted "The Starbucks of surf schools" by Newsweek Magazine, Surf Diva Surf School is considered the pillar of women's surfing and offers surfing and standup paddleboard (SUP) lessons year-round for women, men, and children. Located in La Jolla, California with operations also in Costa Rica, Surf Diva is actively involved in charities and outreach to support both the local community and to raise awareness to protect the environment. The Surf Diva Boutique was awarded #1 Women's Retailer​ ​in the US by the Surfing Industry Manufacturing Association (SIMA)​. Although the vast majority of us ride surfboards shaped by someone else--hopefully your local shaper whenever possible--it's still fun to get yourself covered in foam by making an attempt at shaping your own surfboard at least once in your surfing life. 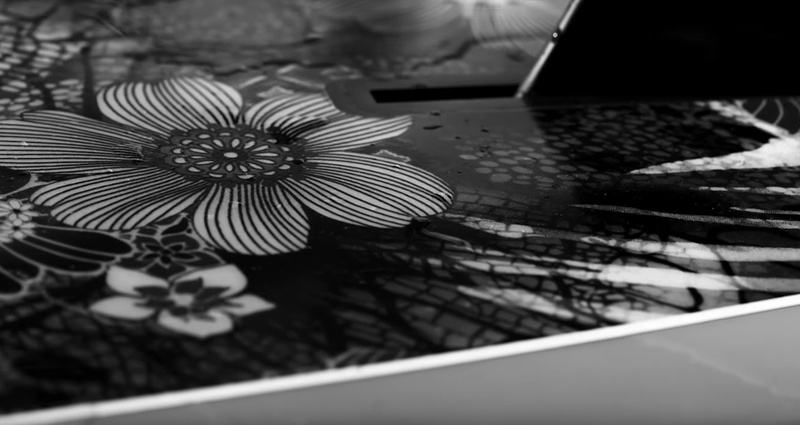 If you can't get time in your own shaper's bay, a perfect alternative is to head to Shaper Studios where they have all the tools necessary to make your dream board a reality. In this video by the talented Justin Jung, Tia scores some time away from the competitive scene and enjoys a relaxing session at home on a self-shaped longboard, all backed by a wonderful track by Catherine Clark. Music Catherine Clark - "A Different Sun"